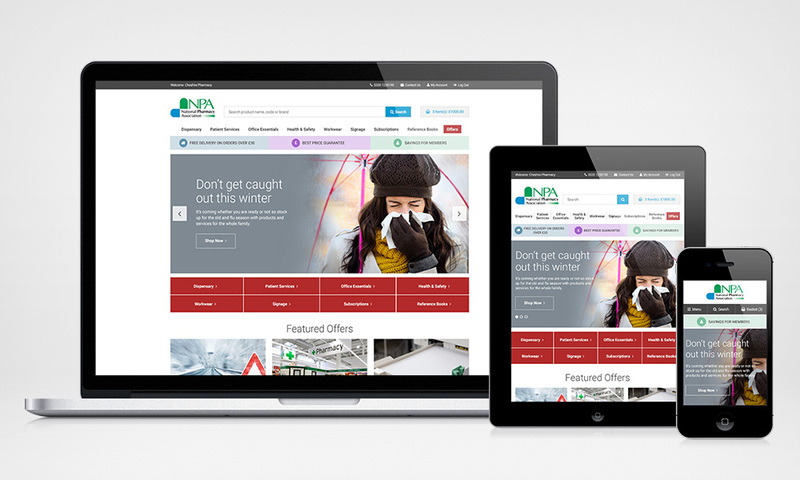 The National Pharmacy Association (NPA) is the trade association for independent community pharmacies in the UK. 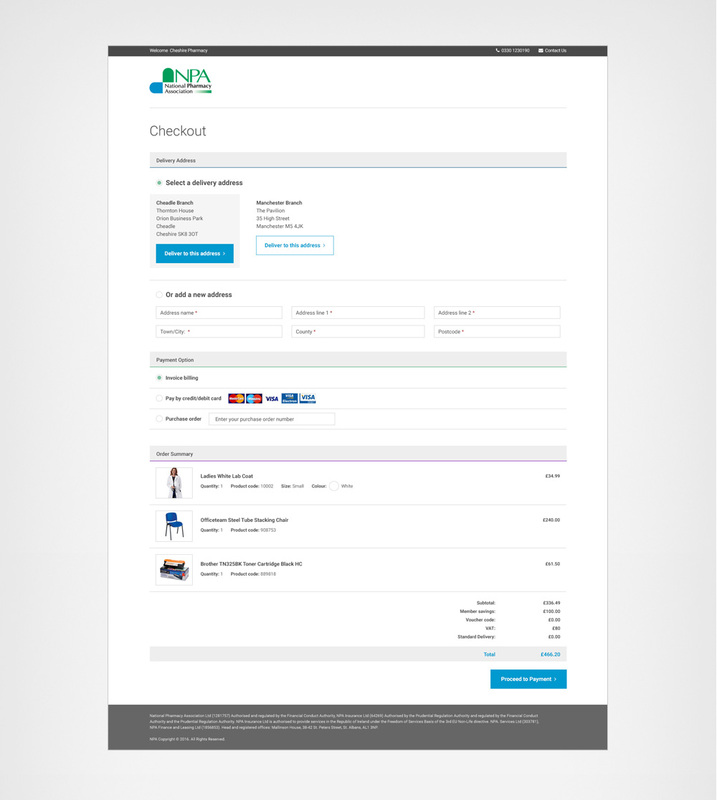 The NPA webshop stock everything a healthcare business will need for their business – from pharmacy fridges and CD cabinets to staff uniform and back office essentials. 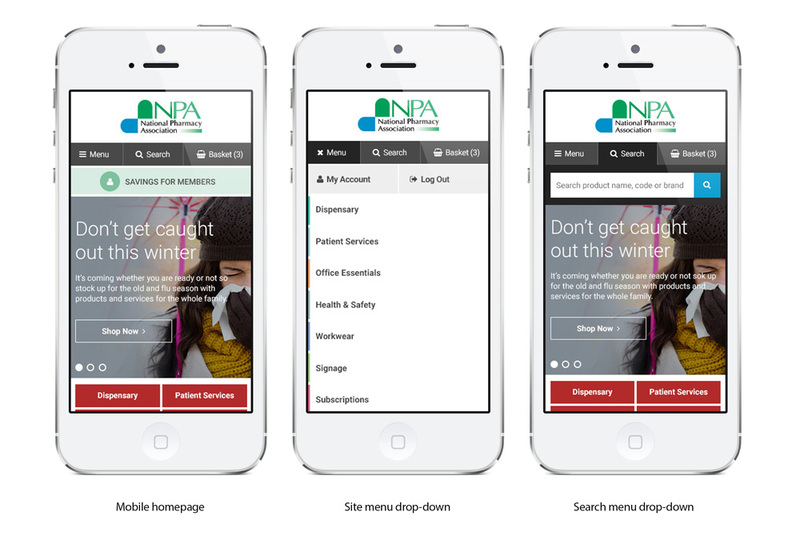 Lacking in online orders with an increase in telephone orders and customer support, NPA approached my previous agency to redesign the user experience for their eCommerce website. We kicked off the project with a discovery phase where we analysed their website, Google analytics data and ran user tests to identify problems with the existing site. 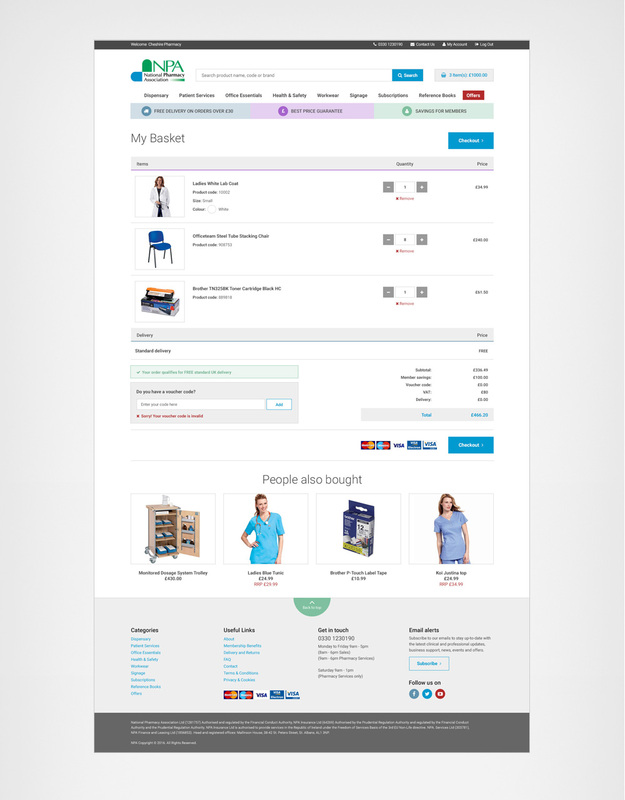 With the results, we restructured the product categories and hierarchy to make the site much more intuitive for visitors to find the products they were looking for. Further user tests were conducted to ensure that the new structure is optimised to enhance the site experience and drive growth. 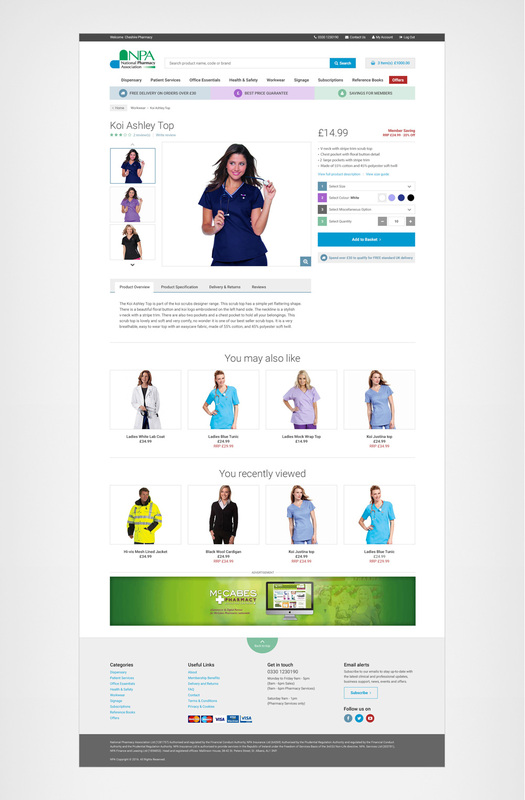 While we made optimisations across the eCommerce experience, we specifically focused on connecting the mobile presence to the desktop site and made the website responsive for tablets and mobiles. 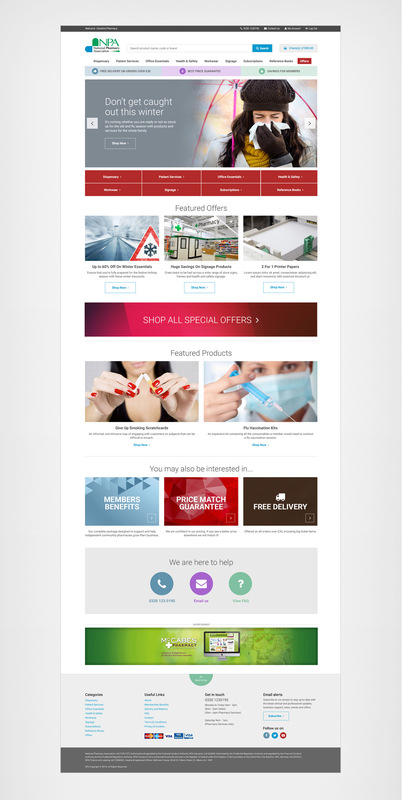 We also created areas for NPA to promote featured offers and products with prominent call to actions. This allowed us to overhaul the site’s purchase funnel, resulting in an immediate increase in mobile engagement, and of course, sales.